"... Could lead to a whole new understanding of cetacean behaviour." ​This important story highlights not only the incredible psychic bonding possible between Man and Dolphins, but also draws the reader’s attention to the major animal welfare implications of keeping wild dolphins in captivity merely for the commercial purpose of entertaining parents and kids. 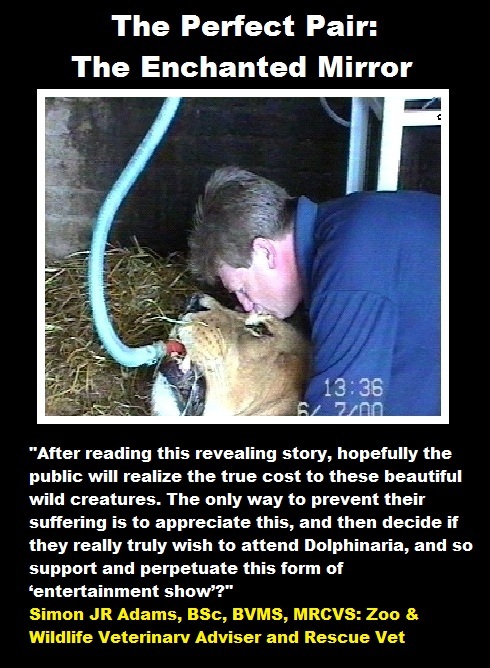 After reading this revealing story, hopefully the public will realize the true cost to these beautiful wild creatures. The only way to prevent their suffering is to appreciate this, and then decide if they really truly wish to attend Dolphinaria, and so support and perpetuate this form of ‘entertainment show’? As a wildlife vet, I have no doubts that whenever possible, Dolphins need a free life in the wild, to fulfil their complex welfare needs. Watching them pursue their elaborate and often playful free-swimming lives is the real entertainment! 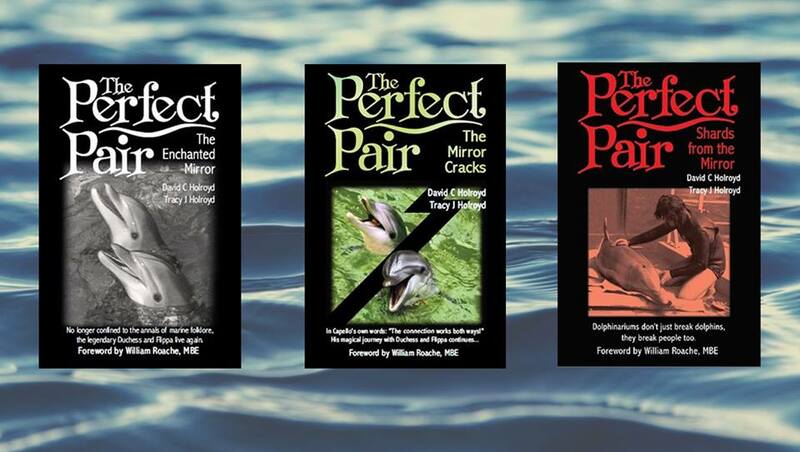 ​In the first volume, The Perfect Pair: The Enchanted Mirror, the authors introduce us to the exciting show biz world of the commercial dolphinarium. Capello, the new apprentice, enters the amazingly intense environment of dolphin training and quickly develops a natural understanding and empathy for these intelligent mammals. Dolphins arguably have one of the most advanced communication abilities in the animal kingdom, and the intensity of this shocks him. In this second volume, The Perfect Pair: The Mirror Cracks, his special gift gradually enlightens him to their plight. He realises that limiting these magnificent creatures into a confined, barren and captive environment utterly compromises their welfare. In fact, his close relationship with his super-intelligent dolphins is all the environmental enrichment they have to live for. The real tragedy is that if the public could actually see the plight behind the dolphin smile, they would no longer support this kind of show. At last! David and Tracy have given the public an opportunity to understand this in a beautifully written story. I hope everyone will read it. As a young zoo vet, I was actively involved in the zoo reform movement to change zoo raison d’être from ‘Animal Entertainment /Attractions’ to ‘Conservation, Education and Welfare’ - a message that is lost on wild animal circuses and the many aquaria and animal attractions that are now appearing throughout the developing world. So please don’t make them profitable by visiting them.